Congratulations on making it this far. You have your entire business model laid out in front of you. Wireframes, financial projections... You may even have VCs begging to give you funding. The next big mobile solution is within your reach. All of the blood, sweat and tears that you've put in are now neatly organized and ready for execution. You've found your ideal development agency. They're the real deal, you can feel it. All over the front of their website are their clients' logos: Netflix, Target, Sony, Facebook. You know, the usual. 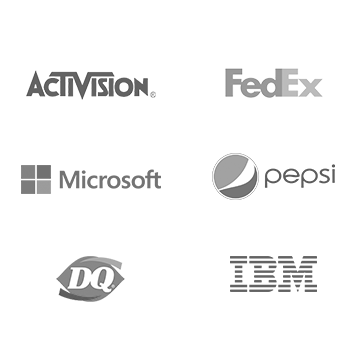 You feverishly click each logo, hoping to see exactly what they did for these companies. Your web browser is obviously acting up since the links won't load. No worries, they're totally telling the truth. Right? Perhaps not. Ok, so maybe their graphics designer had an internship at Target corporate headquarters in college... But did the agency provide a solution comparable to what you're asking them to build? Did they provide anything that should merit your respect and willingness to pay a substantial premium for their services because of their "portfolio?" These loose associations that an agency's staff may have with Fortune 500 companies are an extreme misrepresentation of the integrity of their business services. However, they are often willing to flaunt them as noteworthy accomplishments, implying that they've actually built something for those companies. Ask them what they did for these companies. Have them give you details. If your hiring decision is based on them working with these companies, you should know the capacity in which they worked with them. They may be under an NDA, but they can still provide you with some kind of context. "We designed something for them." or "We built software for them." Your prospective agency is not entirely transparent about who is building your project, yet they're charging you $160 an hour. Ask if you can meet with them and the development team assigned to your project. You'll find that an overwhelming amount of the time, they can not accomodate this request. Why? Because they're pocketing $140 of the $160 hourly premium and outsourcing your development to India. Now, that doesn't mean the developer in India building your project isn't a brilliant developer capable of great work, but it does mean that you just paid $140 an hour for a glorified referral under the guise of an honest agency. Custom software is an extremely complex and delicate undertaking. It can be an extreme risk to entrust your investment and future business success to someone who you've never met and may never meet; not to mention that the agency building your project probably hasn't met them either. No, Skype doesn't count. Insist upon transparency. If you wanted your app outsourced, you could just hire a developer yourself. Don't pay agency rates for an agency that doesn't have their own internal team. Want to know what it's like to work with a local development agency? Swing by our office in Winter Park, FL. We're here 9-5 on weekdays. You can chat with our iOS lead, James, over a cup of joe, or sip some scotch with our Android guru, Daniel. Our focus is building great products, and helping to strip away the confusing layers that surround mobile development today.